TASK FORCE TO STUDY THE STATE-WIDE RESPONSE TO MINORS EXPOSED TO FAMILY VIOLENCE, MEETING MINUTES, TUESDAY, NOVEMBER 10, 2015! Garry noted that the first part of the meeting would be from DCF. Mary Painter would be giving an overview. Mary Painter stated that they had a lot of information that they would try to get through and asked task force members to hold their comments until the end. She discussed the overall mission of the department and noted that there had been some significant practice shifts under the current administration. She would also discuss their work with families with regard to intimate partner violence. Cynthia Mahon would discuss how the department operates within its legal mandate and how DCF worked with the juvenile court. Damian Grasso would discuss data relevant to the charge of the task force. James Geissler would discuss his work as a provider and how his work helps families. The presentation would conclude with recommendations from the department on moving forward. The department’s mission is to ensure the safety and well-being of children in Connecticut and there are a lot of legal mandates to get them through this work , which involves a complex process to get them through the juvenile courts. Cynthia Mahon presented on legislative mandates. She noted that these focused on prevention; child protective services; children’s behavioral health; educational services; and juvenile justice. She would be discussing the involvement of DCF in the juvenile court process and would be discussing the perspective of how families dealing with family violence interact with this system. She noted that §17A-101 is the mandated reporting statute and that this is very relevant to DCF’s work because this is often how cases come into the department and they start their work with families through mandated reporters often. This statute requires that certain individuals report suspected child abuse and neglect. The policy behind this statute is to provide children and families with the help that they need, whether this involves enhancing parental capacity for good childcare; providing a safe, nurturing environment for children; or protecting children from injury and neglect. There are 37 different categories of individuals that are considered required mandated reporters. Cynthia noted that just because someone reports something to DCF, this doesn’t always become a case or mean that the family will become involved in the juvenile court process, but this is a gateway of getting the family’s case brought to the attention of child protective services. Cynthia noted that in her capacity as assistant attorney general, the juvenile court is sometimes the “black hole” of the judicial branch because there’s a degree of ambiguity to what goes on in the juvenile courts. This is partially due to confidentiality statutes that govern DCF and the juvenile court itself. She stated that §46B-124B is an important statute for the task force to consider because it allows for information sharing across the system but doesn’t provide any guidance on how to administer this or any regulations or procedures on how to share this information. There isn’t currently a system to share this kind of information. This information sharing system represented one of the recommendations for the task force to consider. 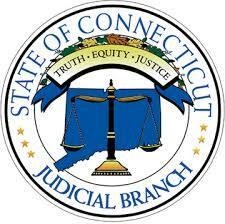 There are currently 13 juvenile courts in the State of Connecticut with two child protection sessions, which are located in Willimantic and in Middletown and are specific courts designed to hear multi-day complex trials that can’t be handled expeditiously in the regional courts. Juvenile courts handle child protection and delinquency cases. The juvenile court’s goal is to secure the welfare, protection, proper care and suitable support of the child subject to its jurisdiction. The juvenile court assesses the conditions of the child, and this is very different from how the criminal court looks at family violence cases. In Connecticut juvenile court, finding that a child is neglected is different from finding who is responsible for the neglect. The adjudication is not a rendition against an individual or individuals in these cases, but rather a finding that a child is neglected. The juvenile court system is not punitive and they are not looking to assign guilty or not guilty but that they look simply at a child and what’s in the best interest of the child. DCF files a petition when families become involved in the juvenile court system. Cynthia referred to documents that she provided regarding child neglect. These petitions can also be filed by Guardians ad Litem. There are a range of situations that these petitions can apply to, and some cases don’t involve any petitions whereas other cases have petitions filed right away. DCF has been working to collect more data on these petitions. There are various reasons that DCF will file these petitions, ranging from a long duration of activity with DCF to a lack of engagement on the part of the family with regard to their case. DCF files a petition if the children are struggling or suffering and the department feels that they’re being neglected. Cynthia provided an example for the task force of a case that came in on a neglect petition where a mother had five children and there were two different fathers and the case came in on the DCF Careline with a concern of substance abuse. In the course of the referral to the Careline, there was a disclosure of domestic violence by one of the fathers. The case was opened by DCF for ongoing treatment; services were provided to the family and within one month of the case, one of the fathers was arrested and incarcerated for violating the full protective order. The mother was the subject of this protective order. The case continued with DCF and it turned out that the respondent mother was not compliant with the services that were being recommended and offered for her and her children. After about 7 months of having an open case, the department decided to file a neglect petition. When this case was disposed of in the juvenile court, the court’s disposition was 6 months of protective supervision where the department stayed involved in oversight of the family to ensure compliance with DCF services and to make sure that the children were safe and well taken care of. After 6 months, the mother did finally accept services and after this, things went smoothly for the family and the case closed. Cynthia pointed out that there is often a perception that families going into the court have a bad experience and in this particular case, the mother and social worker walked out of the courtroom together and hugged and the mother thanked her for her help and said on the record that this was a positive experience. intimate partner violence or family violence in the home, and one of the allegations is being permitted to live under conditions injurious to a child’s well-being. This allegation typically comes under the classification of domestic violence in the home. Regarding orders of temporary custody, Ms. Mahopn noted that in the example she provided, the children were never removed from their mother’s care. There are times, however, when it is necessary to remove a child because of the high level of danger present in the home and in these cases, an order of temporary custody is presented to the court. The court assesses whether there is reasonable cause to believe that the child is suffering from serious physical illness or serious physical injury or is in immediate physical danger from the child’s surroundings. Additionally, the court considers whether immediate removal from the surroundings is necessary to ensure the child’s safety. The department tries to avoid removing children from their parents or their surroundings and removal is a last resort, as this can be a traumatic experience. The department works with families to reduce family violence and find resources for the child such as placing them with a relative or someone the child knows rather than going into foster care with a stranger. When a child is removed from their family, an order of temporary custody is filed with the juvenile court. Attached to this is an affidavit typically filed by the Department of Children and Families or by a Guardian ad Litem, which includes information that is provided to the judge ex parte explaining why it is believed that the child is in immediate physical danger and needs to be removed immediately from their guardians or custodians. Occasionally a judge of the superior court may, on their own, issue an order of temporary custody if during the course of the court proceeding there is information presented indicating that the child is in physical danger. If the judge grants this order of temporary custody, by statute the family is required to have a preliminary hearing within 10 days where families come in and meet with the court service officer, who sits down with the families to mediate the cases and discuss with the parents whether they will sustain the order of temporary custody and allow the child to remain in DCF care or send the child back to the family. At these hearings, the parents are entitled to court-appointed counsel where they fill out a financial affidavit for the judge to review and counsel can be assigned. The child in the juvenile court is automatically provided an attorney. The child is not provided a Guardian ad Litem unless the appointed attorney deems that this is appropriate. Guardians ad Litem are appointed in cases where the child’s position is different from what’s in the child’s best interests. After this preliminary hearing, if the parties decide whether they want a full trial, by statute they can have another trial within 10 days. This process in juvenile court happens very quickly because in cases where a child is removed from their parents’ care, the parents have a right to have that resolved as quickly as possible. At the trial, the standard is a fair preponderance of the evidence to prove that more likely than not a child is in immediate physical danger if returned to their parents or guardians. Neglect petitions still have to be resolved after the court proceedings to adjudicate the child as neglected. This is where the court is looking at the condition of the child; age of the child; whether the child has been abandoned and denied proper care or being permitted to live under conditions injurious to the child’s well-being, and once the court makes the determination they can move on to the disposition of the case. Ms. Mahon listed three different dispositions in her presentation. Protective supervision is where the child remains in the home with the parents and services are provided by the department and court oversight is provided as well. Court oversight can have different interpretations ranging from the court bringing the family back on a monthly or weekly basis to check in with the family and to verify that they’re complying with the services being offered. The juvenile court does have significant control over the case and can be as little or as much involved as necessary. Ms. Mahon defined “commitment to the department” as when the child is in foster care and “transfer of guardianship” is when the court recommends that another third party assume guardianship of the child. noted that there was language on the form about cooperating with domestic violence programs. She noted that the juvenile court is ordering families to be involved in domestic violence programs and to cooperate with restraining orders and protective orders. The steps on the form are ordered at different times throughout the case and can be ordered at the temporary custody order phase if this happens at the beginning of the case or can be ordered at the disposition of and neglect petition. These steps can be modified throughout the course of the case by families coming in before the judge and they will typically remain in place until the case is over. Ms. Mahon noted that the steps that the court issues are issued to the parties, so in cases where, for example, there is a mother and children and the boyfriend is a perpetrator of domestic violence, the juvenile court does not have authority to issue orders on the boyfriend because he’s not a party to the case. The specific steps also include orders that are directed toward the Department of Children and Families because they are also considered a party in the case. If the juvenile court determines that DCF needs to provide services, that can be included in the orders as well. Mary Painter presented on the Department of Children and Familes’s work with families. She stated that the department is trying to approach their work with families in the most beneficial way. She went over some of the broader strategies that the department has employed under the current administration. Ms. Painter noted that the department works to strengthen families as the main framework of its mission. The driving belief behind their practice is that children do best within families and that all families have strengths that can be built upon. DCF wants children to be at home with families or with kin whenever possible. She listed two examples of how this plays out in practice. DCF does announced visits, which wasn’t the case years ago, and they’re also trying to look at everything through a racial justice lens, which is a significant priority for the department, which allows them to analyze who accesses services and who uses services. The Fatherhood Matters Initiative was employed in 2010 and the purpose of this was to increase the involvement of fathers and their family members in the families they work with to combat both internal and external myths about fathers and change the culture around fatherhood to emphasize that fathers are important and are capable of nurturing young children. To do this, DCF has increased services for fathers and worked on engaging them more in all of these processes. Each area office has a FELT team, or a Fatherhood Engagement Leadership Team, which is built of internal and external stakeholders to move the work forward. DCF has the Considered Removal Child and Family team, which is the department’s effort to always have a team meeting with DCF in partnership with families and whoever the family wants to bring to the table when there’s consideration of removal of a child from the family. This does not always occur in imminent risk situations, but the department strives to do this whenever possible. The purpose of this is to avoid removal and mitigate safety factors. Should a removal decision be made to mitigate the safety factors, the team works to find solutions so that the child can return home quickly. 75% of the time, there is a meeting with the family before the decision is made and when that meeting happens, only about 25% of the time is the child removed from the home. In 2015, 68% of the children removed from their families stayed with kin and within the larger family framework. Ms. Painter discussed the department’s efforts on trauma-informed practice, They had a large federal grant to move this forward and they trained their entire workforce to be able to respond to trauma and also to not create more trauma in the lives of the families they work with. The department also more routinely screens for trauma symptoms and has expanded evidence-based practice services for children and keeps data on trauma response. With regard to DCF-specific practice regarding intimate partner violence within the department, it is the goal of DCF to meet the needs of all families that are impacted by IPV and do this in a way that preserves the culturally responsive coordination across systems, individualized, and based on best practices and what the data is informing them on. This work started about 9 years ago and is grounded in the Green Book Initiative, which lays out the framework for how to work with domestic violence and child welfare. The primary principles include: ensure the well-being and stability; better accountability; and keeping the child at home with the non-offending parent whenever possible. There are also a lot of recommendations related to workforce capacity and building the ability to cross-collaborate across all of the entities that are part of this council. Presently, DCF is working to enhance this foundation and move forward so that there is a stronger internal capacity to respond to all of the families and different typologies that present related to IPV; evaluate how they are doing and then adapt accordingly. DCF first elevated intimate partner violence to an office in its central office to work on the policy areas that are significant in the department such as early childhood; substance abuse; mental health; transition-aged youth—all of these have offices within the central office of DCF. Domestic violence did not, however, so they elevated it to one of these offices. They also created a program lead position that didn’t exist previously, and they also switched from an external consultation model for social workers to an internal model so that social workers have access to expert consultation on areas like education; physical health; and mental health. The department used to pay for external consultation for this for IPV but they shifted this to an internal model, which is in line with the rest of their practices. This allowed them to repurpose these dollars back into service delivery. The department also conducted a request for information where they got a very robust response from stakeholders in Connecticut that told them to remain grounded in the Green Book Initiative but to close the gaps of the services that are not available to meet the needs of families. One of these gaps was meeting the needs of fathers, who didn’t have a lot of options for treatment if they were not meeting the threshold to be court-mandated to a batter intervention program. Last year they began to partner with the injury prevention center, which is a three-year evaluation of their internal practice and the service array they are trying to build, and DCF also launched some new services. Ms. Painter also noted that the department has been studying the link between animal cruelty, domestic violence and child abuse more thoroughly. There is a link between these areas and Connecticut now has cross-reporting requirements of animal cruelty and child abuse. DCF was recently tasked with putting together the protocol and training for animal-assisted treatment for children exposed to trauma. In 2016, they will be working with injury prevention center and CCADC to design and roll this out. Specifically, DCF is trying to build a comprehensive and complete service array and they need to meet the needs of all of the families that they come in contact with so they need to be able to meet the needs of those impacted by IPV. DCF has increased access and utilization of the protective order registry by department staff so that it becomes a more common practice that it is used regularly to make determinations that are needed for the families. DCF has worked with CCADV on a few different initiatives, one of these is aligning their safe sleep initiative with the department along with the shelter so that they have federally-approved cribs and they have information to provide to families. The department also supports efforts to train staff on the safe dates and adolescent violence prevention curriculum to disseminate this out to the workforce as much as possible. There are also a variety of interventions for children who are exposed to trauma. The department is making a big push at disseminating practice and making these services available throughout Connecticut. Ms. Painter referred to her slide and the four interventions identified by the injury prevention center with regard to families impacted by IPV. The slide depicts what each of these services address in terms of prevention or low, moderate and high-risk family situations. This year, DCF launched a family assessment intervention response. This is available statewide to DCF-involved families and serves as an avenue for families to get services that they otherwise cannot get. This is an intensive, community-based intervention, which means that a family has access to the service when needed for about 4-6 months and the service is delivered where the family needs it. All family members receive an individualized treatment planning based on their needs and DCF conducts safety planning where they use the VIGOR safety plan, which includes assessing the needs of the children; pets; finances; social issues and all of the issues related to the families that they work with. Based on this, the family receives a combination of services which could include, if needed, trauma-focused CBT; there is a family navigator who will help the child connect to engage in this service. If the family needs some support related to financial or housing issues, there is a case management component to this service. Fathers for Change is embedded in this model, which was put into place to address a significant gap in Connecticut. This is an intervention program for fathers with low to moderate IPV and substance abuse problems, which uses motivation to enter into cognitive behavioral therapy intervention for things like taking accountability for behavior; parenting skills; teaching co-parenting; and parent-child sessions as appropriate. Damien Grasso discussed his collaboration with DCF. His goal is to do research and provide recommendations for ways to improve identification of children exposed to domestic violence in the system and find ways to help improve intervention for these children and families with regard to their safety and well-being. This is being done in two ways, one being a comprehensive chart review where the department looks at children and families served by DCF with identified IPV. The second is evaluation of the feasibility and effectiveness of Fathers for Change and other programs focused on eradicating IPV. The data was compiled from 100 different randomly-chosen reports within a 12-month period, and focused on extracting data on family violence. Within these families, there was past involvement with DCF, demographic risk and so forth. Their first goal is to examine the prevalence and characteristics of children’s exposure to IPV in this process. DCF has a means of indicating whether a family has identified IPV and this number has hovered at 20-21%. The majority of children in these situations are between 0 and 5, followed by 6-12 year olds, and 18% are 13-18 year olds. Damian acknowledged that this ratio is probably much higher and in a study he conducted with colleagues some years ago where they did a comprehensive chart review and followed this with questionnaires and semi-structured interviews with families, they found that 70% of those children have witnessed domestic violence. This study focused on children removed from their homes, so they were probably exposed to more severe maltreatment, but they would expect this rate to be higher. Mr. Grasso stated that they were careful in their chart review to detect chases where there is evidence of IPV that hasn’t been flagged and where DCF can do a better job with this. He noted that one possible reason that DCF is not identifying as many potential cases for domestic violence, has to do with screening and assessing. In the study he conducted, the best identification for children exposed to domestic violence had to do with putting together multiple sources to get better information. Damian referred to his charts to illustrate that by incorporating multiple sources of information, it was easier to determine if domestic violence was an issue in various cases. DCF is also interested in understanding what the violence looks like in homes. The research indicates that violence predicts in a linear fashion a host of adverse outcomes for children. They are going to be extracting this data and using a coding scheme used in past research to quantify the severity and then look at the relationship between severity of IPV and other forms of maltreatment and outcomes for children and families. The second goal is to examine the co-occurring maltreatment and contextual risk in children in DCF involved families with IPV. 30-60% of cases involving domestic violence involve some other form of child abuse with 45-70% of children exposed to DV also being victims of physical abuse, often from both parents. One study found that 65% of men who abuse their partner also abuse their children and another study found that mothers who were victims of IPV were four times more likely to endorse behaviors indicative of physical abuse and emotional abuse. There is also increased risk for sexual abuse among children exposed to domestic violence. Damian stated that with this new knowledge, he hopes that the department can examine the overlap of IPV with other maltreatment and how this relates to the severity of different forms of maltreatment. The third goal is to examine decision-making for DCF families and looking at rates of acceptance based on IPV identification and looking at differences between substantiated versus unsubstantiated reports among families where IPV is identified versus not, and how many of these families go into different programs. Ultimately, the department would like to determine how identifying IPV guides decision-making from the first time it is identified until the case closes. Damian noted that the research is quantitative but also involves a significant amount of interviews. There are several anthropologists on staff that are meeting with stakeholders in DCF, so they will be compiling this information. The fourth aim of the study was to examine the recidivism in DCF families with IPV over the course of the year. DCF is going to extract data for 12 months after the date of the report to look at new substantiated and unsubstantiated reports and see if the severity of IPV and other forms of maltreatment and the overlap are predictive of outcomes over time. Damian went over the IPV FAIR evaluation slide in his presentation. Damian discussed the families that have come into the program and noted that these families have a good deal of risk and needs and there is definitely an indication of domestic violence within these families. Police have visited the homes of these families and arrests have been made, oftentimes with children present. There have been other legal problems identified with these families as well as mental health needs. Trauma exposure for mothers and fathers was quite high among these families, with families being exposed to an average of 5-6 different types of trauma. Using the department’s questionnaire for evaluating PTSD symptoms, it was found that 42.9% of mothers and 52% of fathers were meeting criteria for full or partial PTSD and 23% of mothers and 24% of fathers are meeting full criteria based on this questionnaire. James Geissler discussed his work with the intake process and how the assessment plays out with regards to families. James is very passionate about the program and has seen it working every day. He went over the administrative process of how families get to him: forms get filed with a gatekeeper who is an IPV specialist, then this is faxed over to him and he goes over the information with a family navigator who does the majority of the case management with the family. After this, an intake is set up with a DCF social worker and James’s team meets with everyone in the family to talk about different programs and answer any questions the family may have to start to build a relationship with the family before going into the assessment process. During the assessment process, James and his team gain an understanding of what the family’s needs are and different components of the case. The assessment also helps determine whether the father is going to be engaged and whether he qualifies for the Fathers for Change program, as well as the needs of the mother and the needs of the child or children. Oftentimes, the mothers are traumatized from multiple situations, so James works to connect them to services in the community. The program also works to connect children to mental health services with clinicians trained in TF CBT after witnessing trauma in the home. James always has a family navigator accompany him to determine the best clinical treatment plan for helping the family. 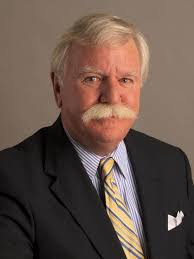 He noted that there are many needs that go beyond the mental health treatment aspect of assistance, so he helps with connecting these families to heating assistance, insurance and other programs. Through the assessments he conducts, James looks for indications of substance abuse and issues with parenting and domestic violence. Fathers for Change addresses many of these issues, which is a 4-6 month program requiring the whole family to get involved with treatment. This can be difficult, but James is able to convince families that it works and will help families. The program operates in three different phases, where fathers are engaged in two months of individual counseling with James before they try to transition into co-parenting sessions if appropriate. The third phase of this program is one-on-one counseling with the father and child where the father will talk about domestic violence with the child in a constructive way. At this stage in the program, there is typically a change in the home and families acknowledge that the fathers are working hard to change. James noted that safety planning is very important in these situations, which he does following the assessment. This looks at goals, options and risks for the family and the family navigator does this with the mother and father first because this looks at the whole environment. This assessment process is very important because it is comprehensive and takes into account current and historical abuse and looks at the co-parenting situation that gives social workers and therapists the ability to see how they can best help the family. James shared an example of one of the fathers he was working with. When James finished this father’s assessments and they talked about different options and the father qualified for the fathers for change program. James saw this father’s potential but he lacked the emotional regulation skills and had poor communication skills that were causing domestic violence, but the father wanted to be a better parent to his three young boys. The father was initially resistant to doing a 4-6 month program. While they were having this conversation, one of the father’s sons had a panic attack—he was experiencing a lot of anxiety as a result of his father being incarcerated and the father was able to respond immediately and calm his son down. James noted in the assessment process, though, that the father wanted the best for his children. The father communicated that he was concerned for his children and wanted to make better choices. James was able to connect this with the Fathers for Change program and get the father to sign up. The father is now going into his tenth session, and since starting the program, there has been no domestic violence in the home. James stated that he has seen significant transformations in these families through this program, and that the program will have a long-term impact of stopping the cycle of domestic violence in these families and communities. Because the program steps into place quickly and is able to provide an intake and referral to these families at a critical time, it is able to transform these families quickly and effectively. James reiterated that the program aims to develop the foundations for long-term positive changes for these families that will help the children grow up in healthy homes. Karen introduced Betsy McAllister. Betsy is a founding director of the Children Witness to Violence Project out of Boston Medical Center and is currently serving as a lecturer on human development and psychology at the Harvard Graduate School of Education. Betsy has come to Connecticut on several occasions to offer training to child advocates and victim advocates within the statewide network of domestic violence providers. The task force appreciates Betsy’s presence and her insight on keeping children safe in homes where family violence is occurring. Karen noted that the next meeting would be on November 19th, and that the task force would be receiving draft recommendations pared out subject matter to discuss at upcoming meetings, followed by discussion to capture task force members’ feedback. The final report is due in January, and Garry and Karen have been discussing the best way to prepare the final report. Upcoming meetings will go over 2-3 different subject matters and won’t go outside of what has been presented, but task force members will be able to weigh in with their thoughts and recommendations. At the last meeting in January, there will be a full draft of the recommendations and a subject matter public hearing so that the task force can make sure to get public input. Karen and Garry will also present this draft to the Criminal Justice Policy Advisory Commission at their meeting in December. Betsy McAllister began her presentation stating that she had done work with several groups related to domestic violence, including CCADV and that she has a lot of respect for the work that Connecticut does on behalf of women and children affected by domestic violence. She stated that she was impressed with the work of the task force and was looking forward to the task force’s recommendations. Massachusetts is conducting a similar initiative that focuses on the courts. The legislature approved a mandated training last year for all of the courts in Massachusetts on the Fender risk assessment. As a component of this, the courts are weaving in a look at risk assessment for children. Betsy McAlister Groves drew on her experience as the former director of the Child Witness to Violence Project at Boston Medical Center, which is a counseling program for young children as domestic violence where they serve children aged 8 and under. About 85% of these children have been referred because of their experiences with domestic violence. She learned many things from this experience. The project worked collaboratively with DCF around providing reporting of children affected by domestic violence and providing services for them. The project is located in Boston Medical Center and is part of the Department of Pediatrics. Referrals come from medical providers; from neighborhood health clinics and other hospitals in the city. They also get reports from the police department; from the courts; domestic violence agencies; and from DCF. About 25% of their referrals are self-referrals. The heart of this program is the provision of counseling and advocacy services. They use an evidence-based therapy intervention called Child-Parent psychotherapy that was used widely in Connecticut as well. This is a therapy that focuses on the non-offending parent and the child doing therapy together and is particularly appropriate in interventions for children affected by domestic violence, and especially for young children because so much of what needs to happen for these children also needs to happen for the non-offending parent and the family. The program also takes appointments for Guardians ad Litem and they have done expert witness testimony and worked extensively with DCF not only in case collaboration but with the domestic violence unit around policy and thinking about appropriate ways for mandated reporters and DCF to work together. Betsy noted that because they are a voluntary agency, 80% of the families that they see are not involved with DCF. When looking at the entire population of families exposed to domestic violence, there is a continuum of families and they tend to see the families where the domestic violence may have been less lethal or dangerous, but is just as toxic to children. Betsy discussed some lessons she’s learned in her work. The first lesson is the notion that being a bystander to violence may be just as traumatizing for a child as being the victim, so there is a population of children who are not direct victims but who are truly a witness to violence or are exposed to violence. The second lesson is about the fact that domestic violence is a particularly toxic form of trauma for young children. The third lesson is that helping a non-abusing parent in these situations is essential to helping children affected by domestic violence. Betsy discussed the bystander effect. She used a study from the mid-90’s that was done to understand how very young children were affected by trauma. There was a debate as to whether very young children could be diagnosed with PTSD, and as more research emerged about the effects of stress on the young brain, this question was put to rest and now there is a diagnosis in the DSM 5, the mental health diagnostic manual for pre-school PTSD, so it has now been codified in this manual. This study was on children who were in DCF custody in the state of Louisiana who were about age 4 and younger. This study was a way to look at their symptoms and behaviors and compare that constellation of behaviors to what is known about symptoms and behaviors consistent with PTSD in older children. The study found a great deal of overlap and made a strong case for the fact that very young children can be affected by violence or trauma and the symptoms are similar to those found in older children. The unanticipated finding was about the variables that predicted PTSD symptoms in these children and what they found was that witnessing violence or threats against the caregivers was a stronger predictor of PTSD than direct physical abuse, which is probably unique to young children. This says a lot about the caregiving environment and the fact that very young children depend on their caregivers for physical and psychological survival. Seeing or witnessing a threat is very potent for children and connects directly to symptoms. Ms. McAlister Groves reiterated that most of the children exposed to domestic violence are under age 8 and several other studies show this. At Boston Medical Center, they survey children in the waiting room who have parents who have reported violence, and the average age of those children is 2.7 years. Ms. McAlister Groves noted that stressful events can be harmful, tolerable or beneficial to a child, depending on several variables. These events can be moderated by a safe and dependable relationship that a child has access to. Whether an event is stressful or not can depend on whether the child has access to a safe and dependable relationship. With regard to the impact of trauma on the caregiver-child relationship, Ms. McAlister Groves stated that what they have learned from the children in their program is about the way the child experiences the violence. She used an example of a drawing from one of the children in her program and noted how the child depicted a violent incident that hadn’t happened but the child felt threatened that it might happen. In the moment, the child did not feel a refuge from either parent—one parent was the perpetrator of violence and the other parent is a victim and in the moment, the child has no protection. She noted that young children are often confused about who is safe and who is dangerous because they lack the cognitive ability to make sense out of these situations. The role of trauma in non-abusing parents is significant in the way that children can or cannot be buffered from the impacts of trauma. Oftentimes, mothers have a hard time addressing the psychological needs of their children because of the situation that they’re in. The work that Ms. McAlister Groves does focuses on helping the non-abusing parent as the best way to help the child, and this means addressing the non-abusing parent’s mental health needs; helping the child understand what has happened with the violence; giving the parent information about how the child has been impacted and specific support around parenting what may be difficult behaviors with the child. To the extent that this program can support the parent, that child is able to heal, and this connection is important to helping the parent and child heal together. The program does not deal with critical safety issues in the home, but in many cases there aren’t critical safety issues. 1. The reminder that young children are disproportionately represented in the populations that domestic violence programs work with. 2. Young children are more vulnerable and less able to communicate verbally about the impact of violence or what is going on in the home. 3. Young children recover from traumatic experiences ideally in the context of caregiving relationships. 4. The best way to help a child ideally is to help the non-abusing parent for access to safety and support. Ms. McAlister Groves discussed the role of DCF, voluntary agencies and the court system. With regard to DCF, she noted that years ago DCF went through a two-year process to look at the question as to whether their requirement was going to continue to be that all cases where children witnessing domestic violence would require automatic reporting by a mandated reporter. DCF developed a task force; community meetings, and held lengthy discussions with various groups and voluntary service providers and this concluded in a policy called “promising approaches”, which dictates that mandated reporters are encouraged to review each family situation and to consider whether or on to file with the Department of Children and Families. Mandated reporters should also give due consideration the family environment and to the negative impact of violence on a child. They are encouraged to assess the caretakers’ and child’s conditions when considering whether or not to file a report of concern with regard to several factors including potential danger; access to weapons; escalating threats; mental illness; suicide threats; substance abuse; a history of protective orders; prior arrest; and stalking. There is also a focus on the non-abusing parent and assessing efforts or willingness to seek help; connections to the community; ability to evaluate and recognize the impact on the child; the presence of mental illness or substance abuse. There are criteria that apply to the child, including the age of the child; the fact that the child voices constant worry or fear about danger; a lack of safety presence or symptoms related to traumatic stress sleep disorder; withdrawal from friends; separation anxiety; worried about the safety of loved ones, etc. From the perspective of a voluntary service provider, and in her program they struggled with the notion of being mandated reporters and worrying that for many families that they saw, women were hesitant to seek services, restraining orders, and other kinds of help because of the fear that the children will be removed from the home. Realistically, there is only a small percentage of children that are removed from the home to protective services, yet there is the myth or the fear in many communities that if they tell someone about the violence in the home, the children are going to be removed. The policy that DCF adopted gives her program a little bit more leeway around reporting. The program has filed many reports, but the fact that reports don’t always have to be filed allows them to help more families and make these women feel more comfortable coming forward. If her program is working with a family where the mother has sought services and is connected to her community and is very concerned about her children, she’s taking the appropriate steps to protect her children and the children have some symptoms of concerns but are basically doing okay, the program can help the family in ways that don’t involve mandated reporting. Ms. McAlister Groves noted that this is an important piece of practice that she has in her state that has been very helpful. When her program does file a report, they inform the family and invite the parent to sit with them when they call in the report or have the family call in the report themselves, and work with them through the process. If it is a situation where the organization thinks the child should be removed, they make this known to the family. In the majority of the cases that her program has worked with, after a report has been filed, typically the therapeutic relationship remains intact and they are able to continue to work with the family in a collaborative effort with DCF. Ms. McAlister Groves then discussed the role of voluntary agencies in determining risk assessment. They look at the history of violence and acknowledge that chronic exposure to trauma is much more impactful and takes a great toll on children in a single episode of violence, so they’re looking for chronicity. In a chart review of the organization, they found that 62% of the children seen in their programs had a lifetime exposure to violence, presenting a serious threat to their mental health. The programs also look at the natures of threats or abuse; at the presence of alcohol, drugs or weapons as reported by the non-abusing parent; history of mental illness; the opinion of risk of safety or danger; the non-abusing parent’s efforts or willingness to seek help or safety; connections to family and friends and social institutions; and the age of the child. Regarding the court system, Massachusetts has a statewide order to train all courts that work with children and offenders in the state. The judge leading this has asked a small group of people who work with children affected by domestic violence to think about ways that in the context of doing offender risk assessment, there are opportunities for the court to have their eyes on the children. In some cases, the courts don’t see children at all, so the offender risk assessment is a way to make a judge think about children. There has been only one training done so far and as they look at offender assessments, they are dictating to judges that chronicity matters and if there is a history of domestic violence and that there are prior restraining orders that could be a red flag to think about children more seriously. They ask that the court ask about the children and about their ages; whether they’re in childcare or if they’re being seen by a provider. If the judges think about children in these cases, the courts can have some reassurance that someone is thinking about and considering the children. The age of the child is another important consideration, and if the children are very young, courts should be more concerned and ask more questions. Massachusetts is also thinking about increased use of the guardian ad litem evaluations to understand and think about what’s best for children when parents have been separated and there are custody or visitation orders. Karen Jarmoc asked if other task force members had questions. Dr. Nina Livingston asked about the wiggle room that Massachusetts is giving around reporting, and noted that across disciplines this is a primary question she’s asked when giving guidance on this issue—how do providers know which kids to report, etc.? She noted that Connecticut’s guidance is pretty vague and asked Ms. McAlister Groves if she could elaborate on this and whether she used forms or risk assessment tools because pediatricians don’t necessarily have these tools at their disposal. She asked how the guidance translates into practice. guideline is the leeway to report or not report. DCF provided extensive training when this rolled out, and they provide a long list of questions/ guidelines on their website to help make determinations in risk assessment, but this hasn’t been evaluated or tested. She noted that her program is in the Department of Pediatrics, and she doesn’t often have time to do these risk assessments. The guidance from DCF to caregivers is that if they have concerns, they should file a report. If there are domestic violence programs in the hospital, pediatricians can call an advocate to have a meeting with the pediatrician or social worker and the family and perhaps do an assessment together and make a decision. DCF recognizes that not every mandated reporter can do this. Sarah Eagan asked about the focus on a need for parent-child psychotherapy as a critical intervention to respond to the trauma that is created within the family system and to improve outcomes for children. She noted that in Connecticut, practitioners are aware of the breadth and scope of family trauma and that not all services are equal or interchangeable and there aren’t very many models of service intervention that are dyadic and trauma informed and capable of effective work with families along the continuum that Ms. McAlister Groves discussed. She noted that there is some of this type of service in Connecticut, and asked what kind of strategies Massachusetts uses to meet this need and bring these types of interventions to scale. She asked how Massachusetts is funding this kind of initiative and for guidance on how to match capacity to need. Betsy McAlister-Groves stated that the focus on evidence-based treatment in mental health has been a huge move forward for the field because they have been able to more accurately understand what works and how to train clinicians to use effective tools. She noted that the challenge for the field is that training and getting credentials in these models is costly in terms of time and dollars, and the whole trauma field is struggling with this. Her program has been funded through the National Child Traumatic Stress Network, and in this network things are changing because now people are asking questions like how they can take the core components of evidence-based treatments and adapt them for uses in other settings. She noted that one specific component she has been involved with is taking the principles of child-parent psychotherapy, which is a model that involves a lot of training, but it would be a good idea to take the principles of this kind of training and adapt it to influence the way that advocates work with families. Her program is partnering with Futures without Violence, a large national domestic violence advocacy resource information website organization. Together, they have completed a curriculum that’s a 3-day training for advocates called “Building competence in parents and children affected by domestic violence”, which takes a dynamic relational model and applies this in shelter programs. She noted that mental health systems cannot serve all children and families that need it, and that programs need to figure out other places for service delivery and other ways of using the theories that work and adapting those for other systems. Karen asked about the development of the guidance that the Massachusetts DCF gave and how this was created as a result of community meetings, etc. She also asked Mary Painter to discuss the kinds of guidance that Connecticut’s DCF currently offers. She noted that while everyone isn’t always on the same page, when there is policy development, this is an inclusive process, which can be really meaningful. Karen also asked the presenters from Connecticut’s DCF about their work with the non-offending parents and the model that DCF is using to work with these parents, and whether separation is completely voluntary for both parents or if there are circumstances where they’re not both in the home but DCF is still working with the offending parent. Betsy McAlister Groves responded that she would ask Sue Hubert, the head of the domestic violence unite in Massachusetts DCF to give details about the collaborative work to come up with their guidance principles. She noted that there was a series of community meetings that brought together people from within the domestic violence advocacy community; batterers’ treatment programs, police forces, the court system, DCF; and other groups in a process that took two years to develop these recommendations. Mary Painter responded that Connecticut’s DCF is looking conceptually at the approach that Massachusetts took and figuring out how to put this into practice. She noted that in Ms. McAlister Groves’ practices, advocates will make calls with families, which is an excellent practice and its important to figure out a way to make their workforce stronger in this capacity. She noted that programs aren’t always able to pair therapists and social workers with families who need services in the provider’s best area of expertise, and that there is a need to elevate the entire workforce to have these skills. She also stated that Connecticut has a broad definition for mandated reporting deliberately, which gives people the opportunity to look at the whole situation and make determinations based on the individual situation. There is a need to train people to look at these cases in a complete way. There are mandated reporting requirements that mandated reporters get trained annually, but these trainings don’t go into the detail that Massachusetts’ DCF does with a guide, which may help Connecticut’s DCF move forward. Karen noted that there are many people who are mandated reporters and noted that there is a consistent curriculum that is utilized across the spectrum of mandated reporters. Mary Painter noted that the training for this is either administered by DCF staff or online and is modified periodically over time. This stays within the broad definitions of mandated reporting and ensures that all mandated reporters have a knowledge base of the issues. Betsy McAlister Groves stated that in Massachusetts, DCF tells mandated reporters that when they’re not sure whether or not to call in a referral, to do so any way and protect a family’s anonymity unless it is necessary. Sarah Eagan stated that we can do this here in Connecticut, where careline workers will talk to people without taking information and try to provide some guidance. Mary Painter interjected that sometimes the call is taken but not accepted because there isn’t a full amount of information, so making a call doesn’t always mean that DCF is going to be involved in a situation. She then addressed Karen’s question about DCF’s work with the non-offending parent and stated that DCF used the green book as their foundation for working with these parents. The primary focus of the department is to work with the non-offending parent and the child and connecting people to the trauma interventions for children that are growing in Connecticut, especially for DCF-involved families. They also connect people to an existing service system, which is stronger for the non- offending parent where they use different services in the community. The FAIR model had an important piece of having a family navigator to connect non-offending parents to services because these exist as a much more complete system than exists for men who need services for the same policy area. James addressed the question as to whether both parties want to stay together or not, and in most cases they plan to, but the goal of the treatment program is not to talk to couples about whether or not to stay together but the fact that they have to be co-parents to their children. There are families where there is a protective order in place and they have time apart and they take time to learn skills and come back to the table when things are modified or when they’re lifted and then they're prepared to continue on with the relationship with these skills and try to get things another try. The co-parenting piece has been very effective. Mary Painter stated that often there is no co-parent to be working in the situation and with considered removal teaming, they hold separate meetings as needed; separate case planning. In Fathers for Change, the non-offending parent needs to be agreeable to the co-parenting sessions. These families receive completely separate services in FAIR that are not connected and there are teams so that each parent will have a different therapist. James agreed that they give these options in his program because they understand whether it’s appropriate or not to set two parents up in these co-parent sessions, as families may not feel comfortable addressing the issue together. There are times when women will say that they don’t want to continue with a relationship and during the therapy sessions, they’re careful not to impose a set agenda on each individual family’s makeup. Garr Lapidus asked about the information systems in DCF to support this kind of work. He noted that it is difficult to get information from providers and parents and the community and asked whether the system is currently operating sufficiently to support this work. Mary Painter responded that currently, they have two data systems that they work with, one being their provider information system that providers put information into and a Saquis data system which is due to be updated and currently the Injury prevention center is manually going through all of the records to get the detailed information about families, and this takes significant time so the system needs to be updated. They are also using a system through the injury prevention center called Qualitrex, which gives a lot of detail about the comprehensive assessment, which is going to provide lots of helpful information but this needs to be built and expanded upon in the department and across agencies. Cynthia agreed that in the judiciary department, they have advocated for sharing information across systems so that juvenile, family, criminal and probate courts can communicate. She suggested it would be very helpful to have a universal system so that individuals in each divisions have access to a universal model where they can all access the same information. She voiced that there is a significant need to have a more streamlined approach to dealing with this cases, whether this was funneling all cases through one judge, or by having a liaison across departments. This would make the system more efficient and would serve parties and families better so that efforts are not duplicated and information doesn’t get lost because it isn’t being shared. Karen Jarmoc asked whether there were statutory prohibitions to this. Judge Bozzuto answered that there are statutory prohibitions and probate and juvenile courts have completely confidential cases. There are hurdles to this, but there is a significant need to be able to share some information, and it is counter-productive for judges to be operating in a vacuum. Christine Raipllo noted that 46b-124 allows for quite a bit of agency sharing, and it was suggested that the systems are not operational to the point where people have access to the information because there are different data systems. The statutes do allow people to share information, but current practitioners aren’t educated on what information is and isn’t appropriate to share. Cynthia Mahon noted that 46b-124 does allow this information to be shared, but there needs to be a better, more effective mechanism in place to allow people to share information so there need to be some guidelines and policies in place as to how this is to transpire. She also stated that it would be helpful for court officers to have access to protective registries in the courthouse. Judge Bozzuto responded that judges don’t always know that another case exists and it would be helpful to have notifications that another case exists. Linda Harris asked about the three-day training and how this would manifest itself so that workers could go into homes and work with families. Betsy McAlister Groves responded that this would be a great program for home visitors and could be easily adapted to them. Sarah Eagan noted that trauma-informed therapy services for young children and parents is still a major service dirth. She also asked about the developmental impact for a child exposed to trauma and noted that there is a need to have a strong connections between screening service provision and early intervention services that is also a capacity builder for the non-offending parent. The state is still working on how to connect with very young children exposed to maltreatment and connecting those children to programs and services. A motion was duly made and seconded to adjourn the meeting. The meeting was adjourned at 12:00..